An elegant hexagonal bridge pull. 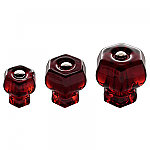 This glass pull is the perfect size for all of your kitchen and bath drawers, and matches our medium (C) size hex knobs. 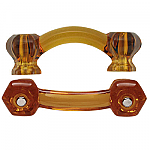 From classic antiques to modern cabinets these handles will look perfect in your home. 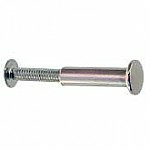 4 3/16" across and projects 1 1/4"
Package contains one handle and two nickle pan head machines screws with nuts. Item ships same or next business day. 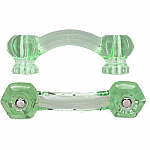 This item is $6.15 when your order exceeds $250 before shipping in qualifying items. 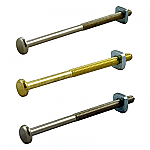 Hardware Tip: Boring refers to the distance from center of mounting hole to center of mounting hole.